A 2x/Mo series that explores different sounds and the ways they have influenced our culture. Release schedule is the 1st and 15th of each month. These can be played in any order. 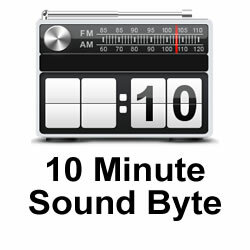 In each 10 minute segment, we discuss specific audio clips and explain how they've been integrated into various aspects of our lives. This can include lyrics, use in commercials or film and how they've been mixed into other areas of the aural landscape. 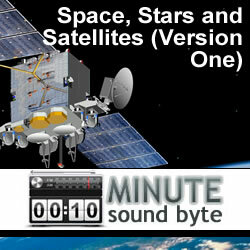 EXPANDED (non-scoped) episodes will be in the "10 Minute Sound Byte [EXPANDED EDITION]" series section/area if you choose to play the long version. 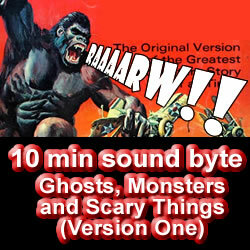 In this episode, we explore songs about Ghosts, Monsters and Scary Things. 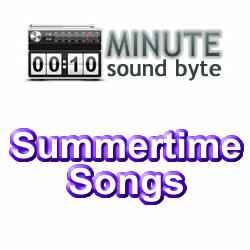 This episode is about songs that reference summer. In this episode, we explore songs about fireworks. 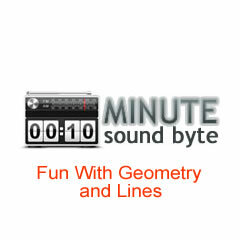 In this episode, songs about lines or songs with lines in the title.